The documents included in this section analyze the impact of the regional funding system, approved by Law 22/2009, on the Valencian public services, especially those related to the welfare state (health, education and social protection). 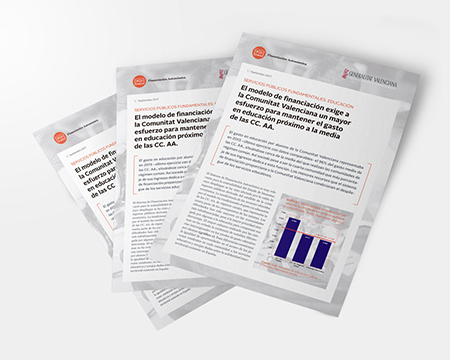 They are brief reports which examine the situation of the Valencian Community compared to other Spanish regions. This research is part of the study commissioned by the Valencian Government which aim is to analyze the current regional funding model and to set the criteria and put forward proposals to reform the said system.